Muslims are among us-they are here, and they are growing. 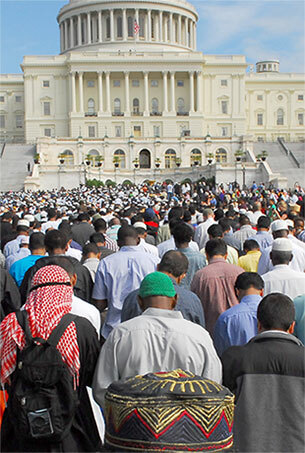 The Lord in His grace, has brought millions of Muslims to our doorsteps in the West. What a tremendous opportunity to reach those who have come from "behind the Crescent Curtain" (from countries close to the precious Gospel of our Lord Jesus Christ)! Arabic Bible Outreach Ministry is a mission agency with a vision to reach the Arab and Muslim world. Our passion is to encourage and equip the saints, churches and ministries to communicate the Gospel effectively to Muslims. This one-day seminar presents the Islamic faith from a Biblical point of view and relates the Gospel to Muslims against the background of their own beliefs. The cost is $15 if registered by March 20th, $20 thereafter; lunch and materials included. Pay by check to the attention of Arabic Bible Outreach Ministry. Attending this seminar will broaden your knowledge of the Muslim world. That knowledge, coupled with a passion for reaching lost souls, can deeply effect our world for eternity.